Morocco is a country that inspires to create exquisite, unique and stylish interior items. In Morocco, many exclusive things are created, famous throughout the world, original in their coloring. One of these unique masterpieces is the Moroccan ottomans. This very practical element of interior design was created many centuries ago. Moroccan poufs combine practicality and luxury at the same time! During the history of its existence, many transformations took place, but in the quest for perfection the masters still use the original idea, both in structure and external design. Moroccan pouf is a magical thing that brings a fresh stream into the most discreet interior. And decorative ethnic embroidery in the traditions of colorful Morocco gives ethno-chic to this fashionable element of decor. 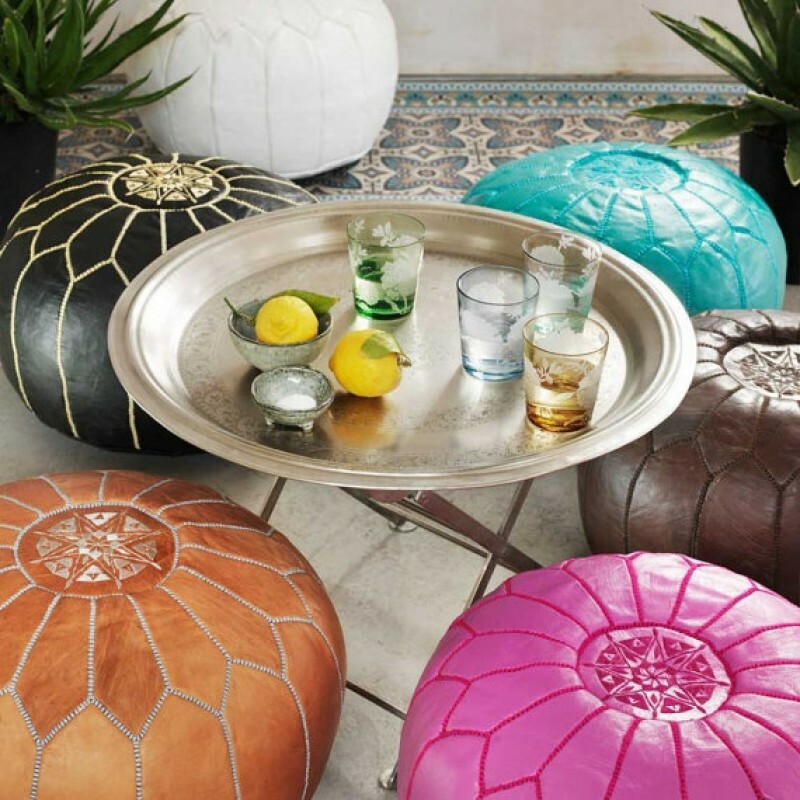 Moroccan puffs are a comfortable low stool without legs, more like a round rigid pillow, sewn from petals. It is incredibly practical and has many uses, from a bedside table to a footrest. Each pouf, like an exotic fruit, is filled with “seed” granules, which makes this very voluminous accessory incredibly light and very elastic. Designing is done in different colors, often decorated with handmade embroidery. On the pouf you can sit, and yet, it can find thousands of applications: like a coffee table, footrest, and bedside cabinet – in short, it all depends on your imagination! Five reasons to choose a Moroccan pouf! 1. Moroccan poufs are very easy to clean. They will perfectly suit the children’s room and the hallway. 2. Moroccan poufs are environmentally friendly! The leather from which they are made is hand-made in Fes. Tanning compounds based on vegetable components according to the Moroccan tanning formula. Again, this is important if your child will spend time sitting on the ottoman in the nursery. 3. 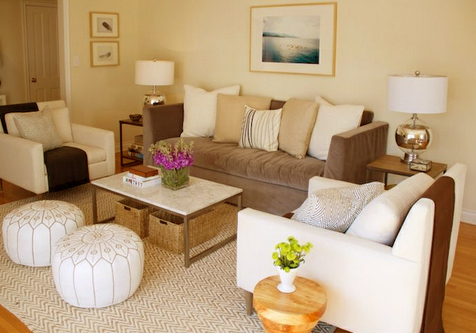 For decades, Moroccan ottomans are in the TOP of the most interesting design solutions! Buying it – you definitely will not lose. 4. Buying a pouf from Morocco, know that you support the traditional artisans of Morocco who, because of the influx of Chinese goods, are experiencing not so easy times. 5. Moroccan pouf, among other things, can serve as an excellent place to store unnecessary things. Just fill it with old things, clothes or trimmings. And voila! There was an extra shelf in the closet. 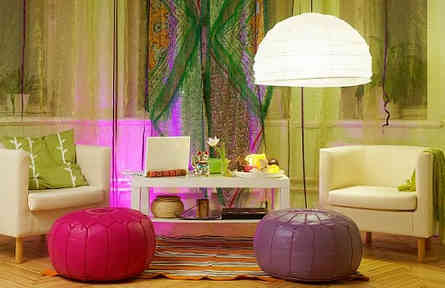 Where to buy a Moroccan pouf? To create a unique atmosphere in the house is incredibly simple with the help of such designer vintage elements. To buy a Moroccan pouf is now not only fashionable, but also convenient. For this, you do not need to visit an exotic country, but just order it from our online-store. The price range is quite wide and depends on the materials (usually it’s genuine leather) and the originality of the design. When choosing a model, the attention should be given to the quality of performance and design. It is important that the pouf harmoniously combined with the overall interior and emphasizes the style. A large selection of products of the highest quality at reasonable prices will help you to purchase exactly what you wanted. Realistic photos and detailed descriptions in our catalogs will help to make the right choice. You can buy poufs in our online-shop. Here you will find puffs in a wide range and high quality. We guarantee fast and qualititative delivery. Make a note of exotics and coziness in a homely atmosphere, because it’s so easy with such elements of interior decoration.